The Wabash Valley Youth Symphony present their next concert Sunday, February 10th at 7 pm at the Long Center for the Arts in Lafayette. The program includes Tchaikovsky's Symphony No. 2 "Little Russian", Rossini's La gazza ladra Overture, and Strauss's Horn Concerto No. 1 - featuring soloist Addie Tribbett. 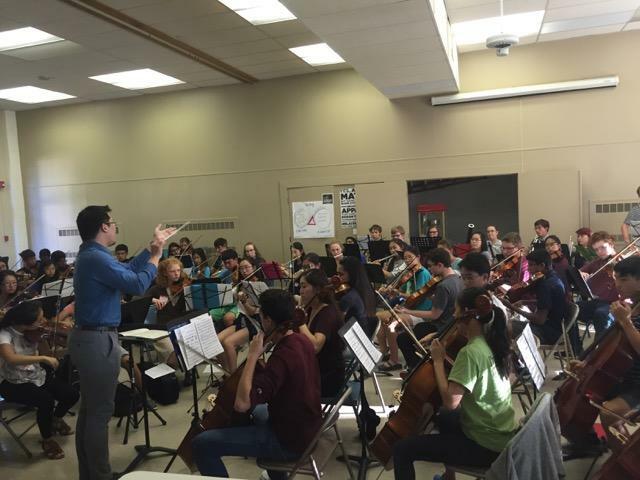 WBAA's John Clare spoke with Tribbett and conductor Wilbur Lin about the concert. Pianist Richard Goode is a legendary musician. A Nonesuch recording artist, Goode returns to West Lafayette Sunday afternoon in a solo program that spans classical and romantic repertoire. Music Director John Clare spoke with Richard about the program that includes his favorite Beethoven sonata. Richard Goode discusses the poetry of Chopin, romanticism of Janacek, and his favorite Beethoven sonata. Poetry from Neruda, music by Gershwin, and sweet treats are all a part of Valentine's Afternoon Delight with the Lafayette Chamber Singer's next concert, Sunday February 10th at 3pm. Clayton Lein spoke with Greg Kostraba about the performance at Duncan Hall.